France, a set on Flickr. 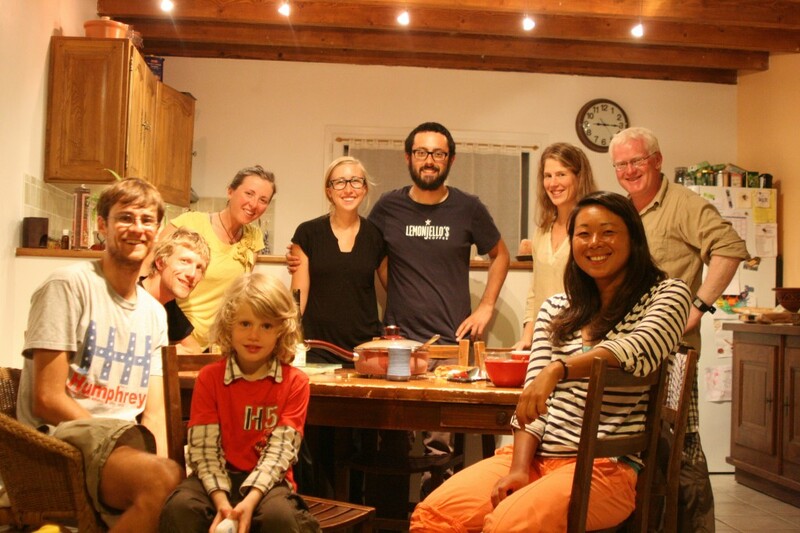 We are safe and sound in another gracious host’s home near Romans, France! Thank you Miguel and family! When riding through Switzerland I realized the hills were alive- with the sound of me panting for breath, and my gears grinding while going up hill after hill after hill. These sounds are depressing. To cover the sounds of suffering, I crafted a playlist entitled “legpain”. This masterpiece of compiled songs keeps me going day after day no matter the weather, terrain, or mood. After about 20 km of warm up I fire up these magical tunes, always keeping it on shuffle because- yes, my life really is that exciting.I figured I would let you all in on the goods that keep me going. I am continually surprised by how much I enjoy my trips away from the U.S. Every time I return, my immediate instinct is to not unpack so I can embark on another adventure on a moment’s notice. Maybe what I like best about traveling is that a new environment with new people offers a clarity impossible to attain when close to the familiar. I feel like the truest form of myself when removed from familial, academic and societal pressures that have in some way shape or form hijacked my identity and dreams. At school, I face doubts and fears regarding the future, my future, and how my current trajectory fits in with my dreams. Leaving is dreaming of what life without so many pressures could be: impulsive, unconventional, different. Returning is a reminder of what I’m giving up on the road less taken: a cushy salary, security and guaranteed “success”. All you have to do is follow the plan. It’s a scary trade-off. Who wants to give up a sure thing?